Forest Garden Arlington 7x7 Summer House: The Forest Garden designers are experts when it comes to designing attractive summer houses. 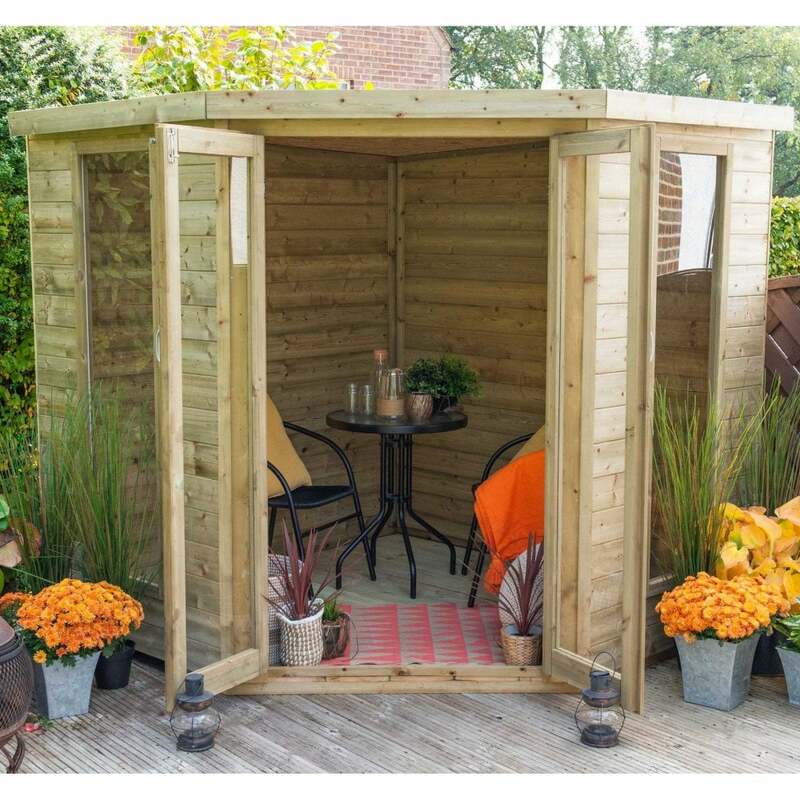 This corner summer house is a brand new design and is ideally suited to maximise its internal, usable floor space without intruding too much in the garden. The large glazed area allows in lots of light and really create a summery airey feeling inside. The superb quality of the tongue and grooved cladding construction using its 12mm cladding will give shade in summer and a warm retreat when the weather is cooler or wet.